There’s nothing simple about finishing a Peaks Challenge event – or negotiating the lifestyle changes in the lead-up. 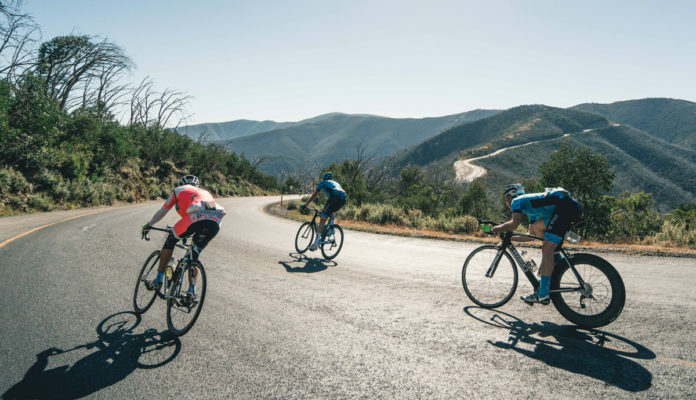 For most riders, preparing for a Peaks Challenge event is a massive undertaking, requiring a substantial investment in time—many dozens of hours on the bike—in preparation. Ahh, humans. Aren’t we funny social animals – living our lives out searching for meaningful human interaction, happiness and health. We work, we build a crew of mates, we fall in love, we start families, and sometimes, sometimes we sign ourselves up for a bloody big bike ride. All of which is to say, there are probably others that your decision to ride in Peaks Challenge will impact. The simplest tool at your disposal is to keep the lines of communications open. You need to ride a lot, and your interpersonal relationships will be that much easier if you’re up front about that. Better to approach things with transparency rather than saying that you’re going to be home for lunch, rolling in at 5pm with 200km in the legs and feigning surprise that your chamois time has upset your partner/kids/parents/pals/boss. Of course it has – you’ve failed to act like an adult and communicate your intentions. If you’re a lone wolf, it’s all a bit easier – go ride your bike more than you already do. 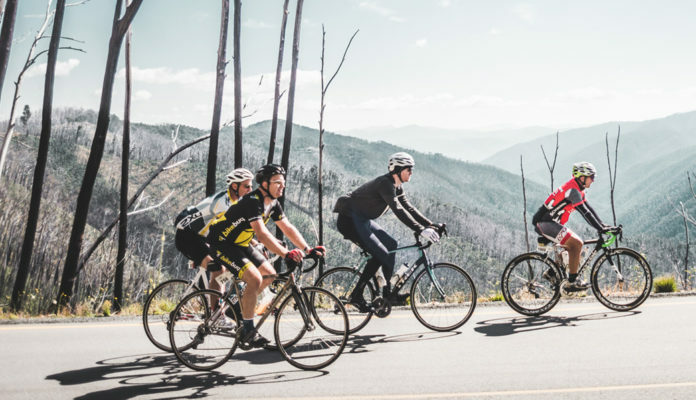 Peaks Challenge is all about pushing the limits of your endurance – and, like it or not, there’s not much you can do to build your endurance if you’re only able to ride for an hour or two at a time. You need to go long. And that takes time. To avoid the previously mentioned 5pm arrival home and accompanying domestic disharmony, you need to extend your ride at one end or the other of the clock. The most realistic option is an early start. If your idea of an early-morning roll-out is a 9am start, you’ll be amazed by how much you’re able to fit into your day if you get your ride started at 4-5am. Can you be home in time for brunch with 100km+ of training under the belt? You can, you must, you will. Cycling can be a fairly expensive endeavour, and we certainly wouldn’t condone putting yourself into financial ruin for a hobby—but look, life on the bike is just more comfortable if you have decent gear and aren’t in a constant state of hunger flat. If you add up the expenses of clothing, tyres’n’tubes, and all those gels and bars at $4 a pop, you’re going to be spending a bit of dosh. If funds are tight as is, best to budget for it. Quite naturally, your diet may start to change. You’ll have been working hard on the bike, and your body will most likely be craving an increase in sustenance. If you can, try to resist the temptation to pig out on deep-fried Mars bars post-ride—there’s a certain degree of two-steps-forward-one-step-back about it if you do. You’ll probably also be inclined to reduce the amount of alcohol you drink. It’s hard to get up for a training ride at 5am if you’re out all night on a craft-beer bender, and besides, all the money you’re going to be spending on new kit needs to come from somewhere. Think of it as a reallocation of funds. Peaks Challenge events will cause a recalibration of your understanding of what a ‘long ride’ is. Before your training kicks off, 100km is probably a distance you’re doing only every once in a while. Not long into your pre-event training, that’s pretty routine. By the end of your Peaks Challenge campaign, at the 100km mark you’re just getting warmed up. Practice the communication skills you’ve learnt earlier on to negotiate a continued increase in riding. My goodness you’ll get fit. It may not be discernible as an outrageous change but you’ll be able to smugly perceive the little signs; the ease with which you close a gap, the freshness you feel at the end of your commute, the Strava PBs you pick up along the way when, get this, you aren’t even really trying. It’s a great feeling, and gives you an amazing base of fitness for future adventures on two wheels. Enjoy! 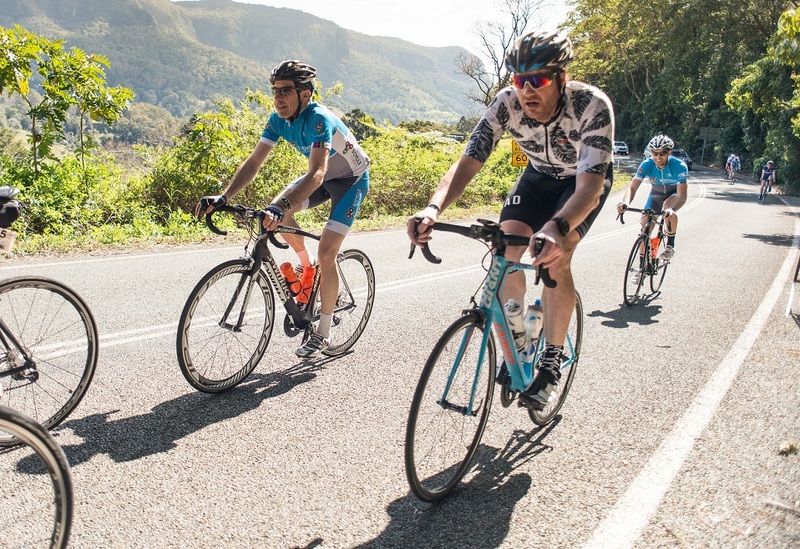 Former European-based pro Stephen Cunningham offers his top 10 tips to facing one of Australia's toughest cycling challenges – Peaks Challenge Falls Creek. Drapac Pats Veg cycling team racer Jesse Featonby talks about his experience of taking on the illustrious Peaks Challenge route. 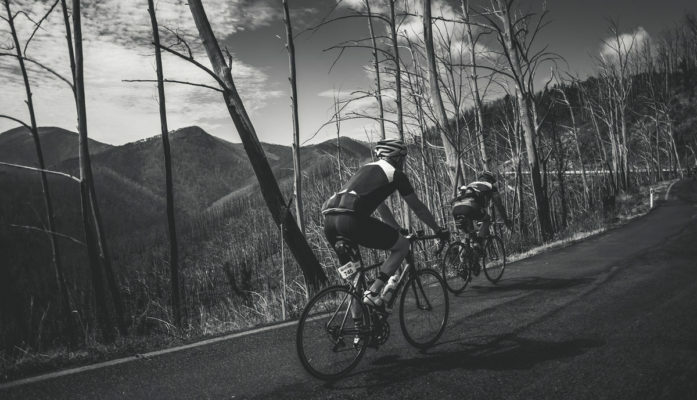 Peaks Challenge Falls Creek has long been regarded as one of the hardest rides in Australia but how does it stack up against a mountain stage of the Tour de France? Be the first to hear when Peaks Challenge 2020 entries open!